* Applications in 2019 has been closed. We look forward for your participation next year. Thank you! 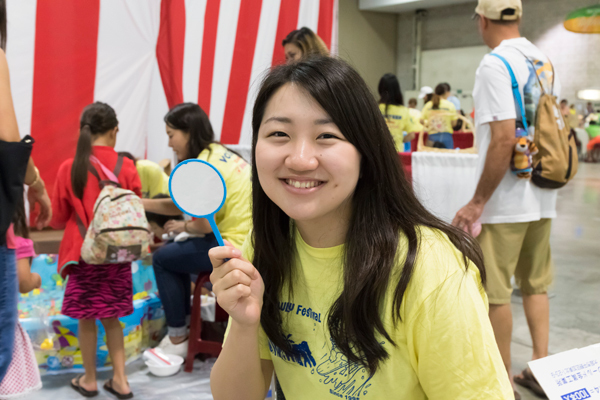 The phenomenal success of the Honolulu Festival is thanks to the ever-increasing dedication and enthusiasm of all of our volunteers. It is their amazing display of Aloha Spirit that puts a smile on our guests each year. 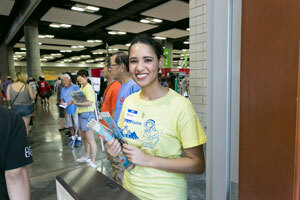 Various volunteer opportunities are available, such as assisting the cultural events at the Hawaii Convention Center and the Grand Parade in Waikiki. If you would like to volunteer, please fill out the online registration form and get ready to have a great time! greeting and explanation for visitors. supply of ennichi items and facility management. greeting visitors by the entrance. required to stand during your entire shift. 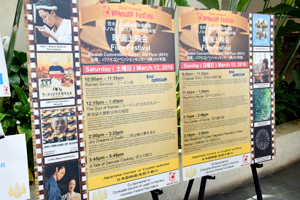 The 6th Annual Film Festival will be screening various Japanese films hosted by the Japanese Consulate and the Japan Foundation. presenting the information on the film’s title and its running time. ushering guests to the 3rd floor. supporting the staff members during the film. This is such a rare opportunity which you will have an unforgettable experience. 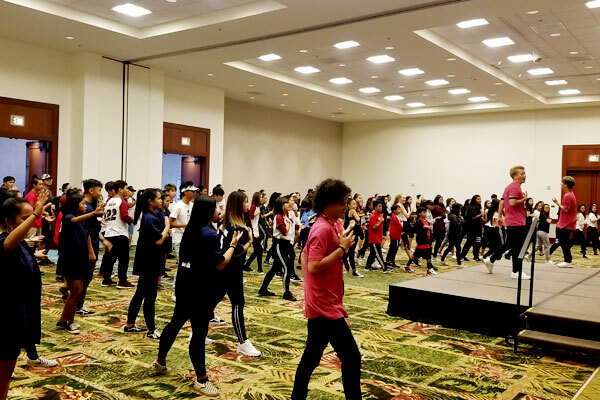 The Honolulu Festival’s Grand Parade has received the Legacy Award from the city of Honolulu. 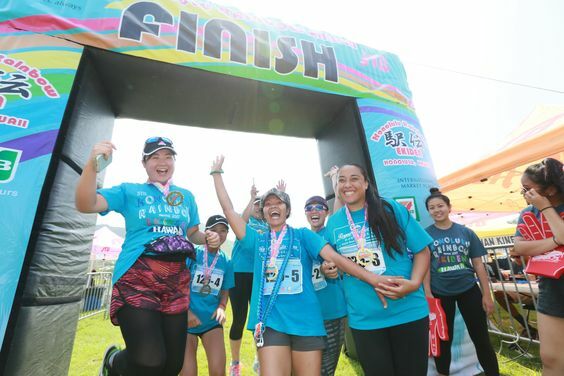 As a result, it was recognized as an annual event of Honolulu, which does not require a request for approval from the city. 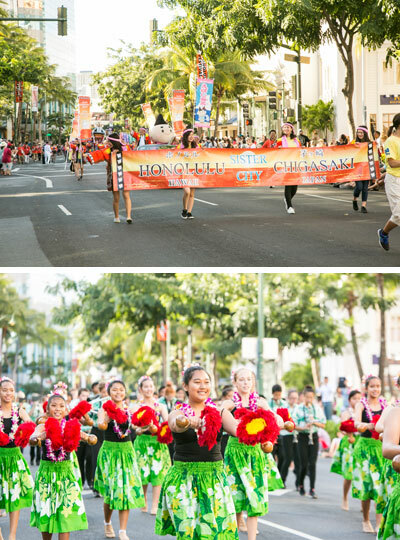 The Grand Parade is where you can enjoy watching spectacular performances such as hula dance and Japanese mikoshi (portable shrine) on the streets of Kalakaua Avenue in Waikiki. * Please note that we may ask you to pick up happi coats at the end point of the parade. 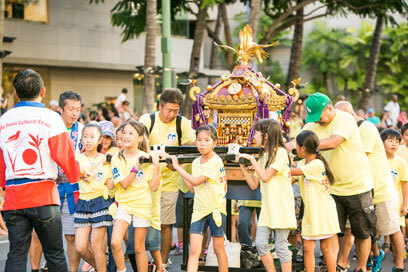 participating in pushing the huge carts and floats of the traditional Japanese festivals along Kalakaua Avenue from Saratoga Road to Kapahulu Avenue (approx. 1 mile). 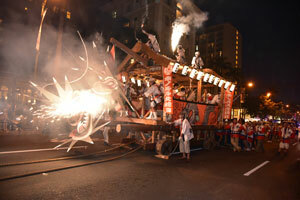 The Daijayama is a famous festival in the northern part of Kyushu. Their traditional dance is enjoyed by many. participating in the Daijayama dance to excite the finale of the Grand Parade. *You must be able to attend on 3/10 (practice session) and 3/11 (Grand Parade). We are also receiving applications for sister event volunteers!